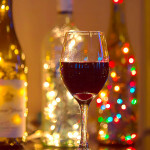 Just when we thought we had the wine list covered for Christmas and New Year’s, it hits us that we may need a bit more. And when we think more—what comes to mind? Well—it’s that behemoth of a wine store that’s taller than City Hall; wider than the Indian Wells Tennis Garden; longer than a locomotive train, heavier than…well, we’re getting the idea. The store of course is Total Wine & More on Hwy 111 in Palm Desert. In fact, the Hwy is starting to dip right around the store’s location due to the building’s heft. There is so much wine, beer, and spirits in that place that if the big earthquake hits, we’re in for torrents of libations flowing through our neighborhood streets. I’d better stock up on some very long straws. But before this happens, let’s get over there to gather and try out wine supervisor Candace’s wine picks for the season. A really fun gal who flies in from Cucamonga and lands her Piper Aircraft at the private airport in the store. Service at Total Wine is always top-notch with a savvy staff. How these people know where everything is located is beyond human understanding. I even tried to catch them off-guard by showing up unannounced, but there was the line-up of chilled wines ready for Candace and me to taste and evaluate. They already knew the CV Weekly readers have very discernible palates and I was a little scared that we were putting too much pressure on them. But they weren’t even fazed. With a sales team—like with the consummate wine guy, Tom Leavitt, who can advise you on any wine request at the best price in seconds flat!, they are very friendly and generous with their time. Sparkling bubbly is always great to start a “tasting”, a party, or whatever. 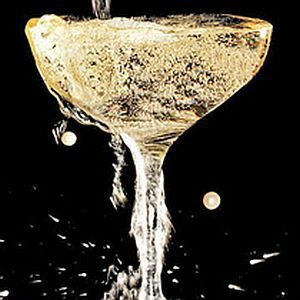 For many of us, it’s a once-a-year treat to pick up a real French Champagne, and the deal of the season is here: Mailly Brut Reserve Grand Cru—yeah! A reserve grand cru!! For only $39.95. This is the Champagne “bomb” for a great price. Dry, medium bodied, toasty/yeasty, we found it fresh, light bubbles on the tongue, bright, and citrusy with Key lime pie flavors, blossoms and minerality. It can pair with anything on the holiday table. Another of Candace’s sparkling pick at $17.99 is the Louis Bouillot Perle d’Aurore Rosé. From Burgundy, the crémant (a name given to French sparklers not produced in the Champagne region) is 80% Pinot Noir and 20% Gamay. Another dry sparkler that’s tasty with strawberry and cherry flavors with a very creamy feel—rich & elegant. A beautiful pale rose color for the holiday wine glass of cheers. We then went on to a Gewurztraminer [guh-VERTZ-trah-mee-ner] from Jean Albrecht, the 2012 Tradition produced in Alsace. You guhvertz fans no doubt enjoy this highly aromatic fruity wine with major flavors of lychees and roses. Often with a nice vein of acidity, this 2012 Tradition vintage is on the sweeter side with tropical notes, harvest fruits, and what Candace calls “Guhvertz Spice”. Perfect for the holiday table and can be used as a dessert wine with fresh baked pies. Not that many bottles left at the store at around $19. 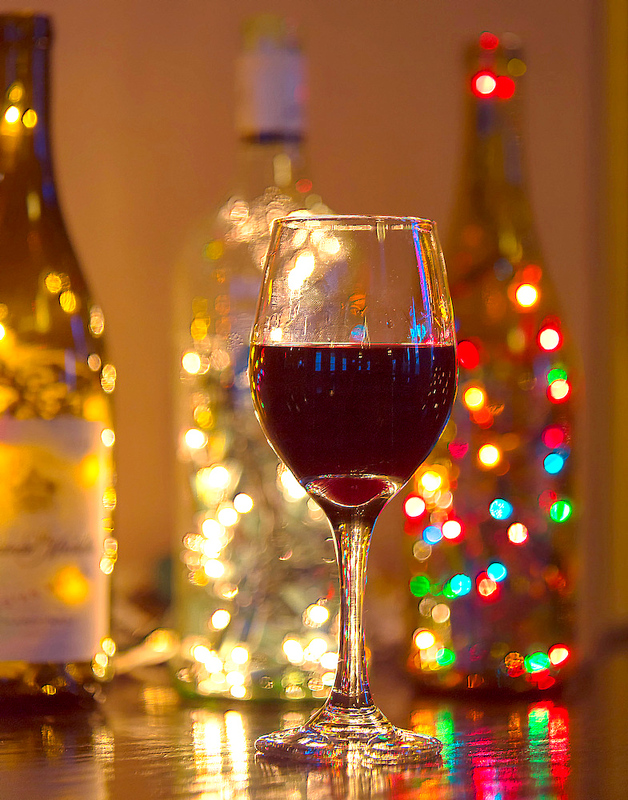 Some of us forget how good a hearty Sauvignon Blanc can be for the holiday season. We often cooled down our summertime with the bracing and steely Sauv Blanc from New Zealand and the like—but wintertime? 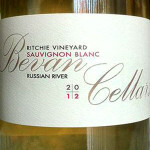 Candace picked a winner here: 2012 Bevan Cellars Sauvignon Blanc Ritchie Vineyard Russia River $39. She’s met with winemaker Russell Bevan and says this wine is as bold as he is! This is a fabulous wine that can take down many a Chardonnay. Quite honestly, I usually don’t go around buying thirty-nine dollar Sauvignon Blanc. But in the same way we treat ourselves once in a while—or maybe just once or twice a year to that really expensive wonderfully delicious wine, we follow our vino hearts because wine has taken us to sensibilities we might have missed otherwise. Now I usually save this spiel for a $125+ wine, but at $39 around the holidays—this wine is doable. 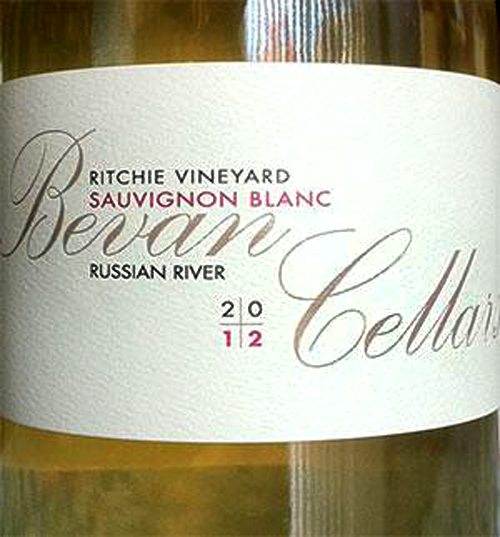 The Bevan is from 40 year old vines and unfiltered so it has a touch cloudy look in an attractively fashioned bottle. Gorgeous nose of grapefruit, citrus blossoms and wet stone. The wine is full of depth and intensity with Meyer lemon and blood orange notes. I’m reminded of the flavor nuances we’d get from those old-time jelly candies at the movies. Plus, it owns a mid-palate richness of a great Chardonnay. I tell you this wine is substantial and seductive while still embracing the grape’s hallmark vivacity and acidity. Merry Christmas Baby! And when was the last time you enjoyed a true red Burgundy. The 2010 Chateau de Chamirey Pinot Noir from the French commune of Mercurey is one the best deals in town to experience the famous terroir de Bourgogne at only $29.99. We got tasty Bing cherries, strawberries and soft earthy notes. As you’d expect, it’s an elegant medium-bodied wine with a wonderful lingering finish. Thanks Candace!